SINGAPORE: Oil fell 1.7 percent to below $70 for the first time in two weeks on Thursday after the death of al Qaeda'a leader in Iraq, where crude exports have been curbed by frequent sabotage attacks and instability. The plunge deepened losses from a day ago, when US data showed rising crude and fuel inventories, easing concerns about summer supplies in the world's biggest consumer. US crude oil fell $1.21 to $69.71 a barrel by 0818 GMT after losing $1.68 or 2 percent on Wednesday. London Brent crude fell $1.10 to $68.09 a barrel. 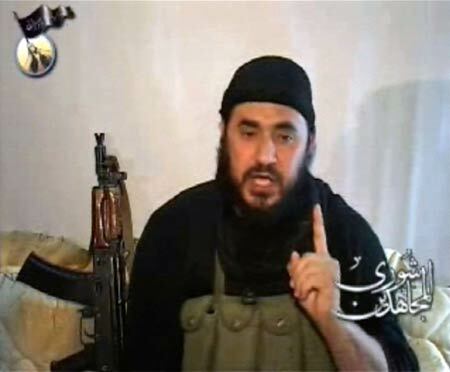 Iraq's Prime Minister Nuri al-Maliki told a televised news conference on Thursday that Zarqawi had been "terminated". Oil exports from Iraq have failed to return to pre-war levels due to frequent sabotage attacks on the country's northern pipeline and deteriorating security that has prevented significant investment in ageing southern oilfields. Those curbs -- coupled with the ongoing loss of a quarter of Nigeria's output and growing anxiety over Iran's supplies --have helped fuel a near 15 percent rise in oil prices since the start of the year, extending a rally that began after the US invasion of Iraq more than three years ago. Iraqi Deputy Prime Minister Barham Salih said separately on Thursday that Iraq would produce 4.3 million barrels per day (bpd) of crude oil by 2010, more than double its current levels, but analysts say those targets may be optimistic. Baghdad is struggling to pump 2 million bpd, down from about 2.5 million bpd before the U.S.-led invasion in 2003. Meanwhile, crude supplies in the United States rose 1.1 million barrels last week on lower refinery output, the Energy Information Administration said, compared to analyst forecasts of a decline. This took stocks 4.2 percent above this time last year. "The crude build -- due to unexpectedly high imports -- was a surprise," said JPMorgan. "Gasoline demand eased as anticipated... this put demand on a year-on-year basis up an anaemic 0.7 percent." Gasoline stocks increased for the sixth week to gain 1 million barrels, while distillate supplies rose by 1.8 million barrels, providing a more comfortable supply cushion during peak summer demand. Gasoline futures led losses on Thursday, down 1.6 percent at $2.09 a gallon. Adding to pressure, former Federal Reserve Chairman Alan Greenspan said on Wednesday that recent data showed high oil prices are starting to impact the U.S. economy. In Iran, the top oil official said on Wednesday the country could still use the oil card if needed, taking the shine off positive signals earlier in the week from Tehran on a package of incentives by world powers aimed at persuading the world's fourth-largest oil exporter to stop enriching uranium. "We need oil exports because currency that comes from them should be used to build infrastructure. However, if we feel we have to, we will defend our rights," Oil Minister Kazem Vaziri-Hamaneh told Iran's official news agency. Iran's Supreme Leader Ayatollah Ali Khamenei rattled oil markets this week after he said oil flows from the Gulf would be endangered if Washington made a "wrong move". Traders also remain on edge over supply disruptions in Nigeria, the world's eight-largest exporter, after militants attacked a Shell-operated facility in the Niger Delta, killing soldiers and kidnapping five South Korean contractors. A militant group said the South Koreans will be released later on Thursday.